The Next Batman Is... Ben Affleck? What? Ben Affleck will star as Batman in Man of Steel 2. Ben Affleck. This is not a joke. Both The Wrap and Variety are reporting the news. 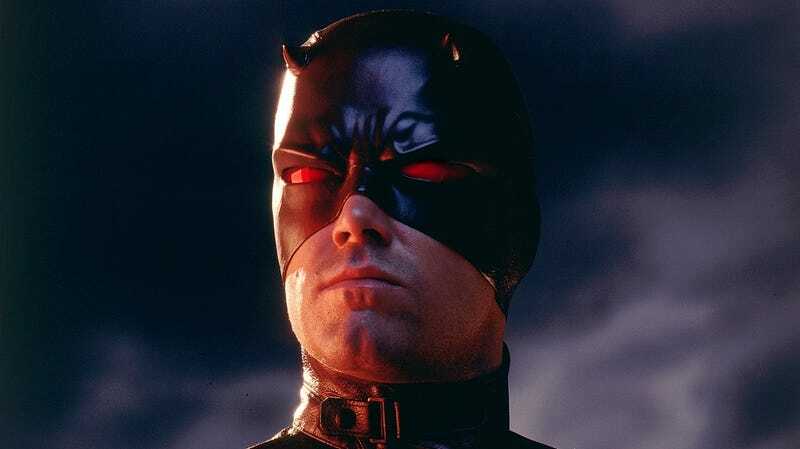 Daredevil is playing Batman. Last month's Comic Con revelation that the Caped Crusader will appear in the sequel to Zack Snyder's Superman flick was huge news—particularly the part where Snyder hinted that they'll be fighting one another. This is equally huge, and hilarious, and stunning, and kind of maybe amazing news. So... Matt Damon as Robin? For more of Kotaku's coverage of all things comic books, check out Panel Discussion.